Display your products with style in custom printed catalogs that truly stand out. You can be sure of a perfect catalog printing solution from PCA Delta that will help you create a brand image for your products and services. 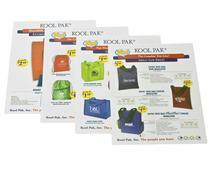 At PCA Delta, we design catalogs that are attractive and make a statement about your business. With vivid image printing, you can bring your products to life and sell like never before. With the latest technology and capable technicians in every part of our plants, we are able to carry out your catalog printing jobs efficiently and promptly. Work with PCA Delta’s marketing and design team to create a comprehensive catalog that's effective, visually pleasing and affordable.